Ticks, moths and bulldozers… What can these have anything to do with each other? Mixed-media artist Dex Ferandez, 31, seems to have found the answer. In his work, ticks symbolize people. He believes that humans are simple creatures that feed on others. Although the exterior of a tick is quite simple, its interior is the polar opposite. Just like ticks, people are extremely sophisticated on the inside. According to Fernandez, both animals and inanimate objects have the power to express characters that dominate one’s psychology. 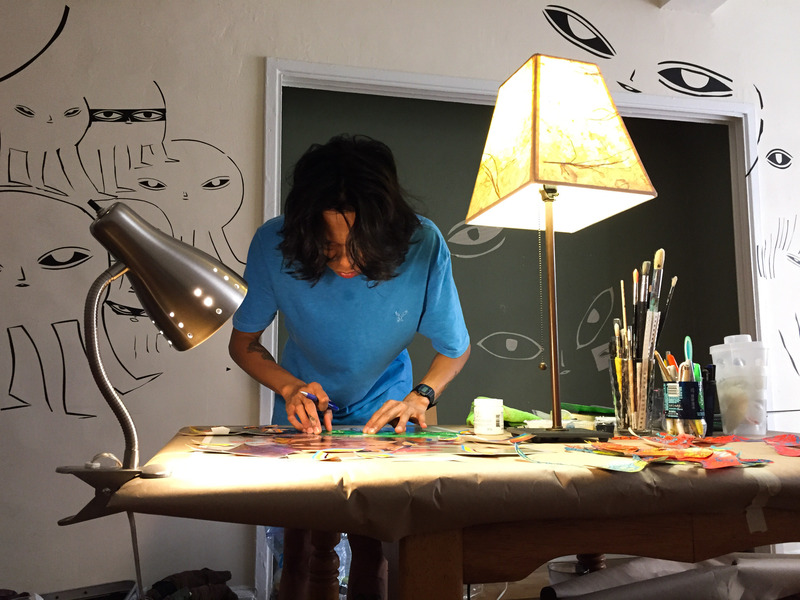 In preperation for his upcoming art show, Fernandez paints on print at his home/studio, on 08/17/15. 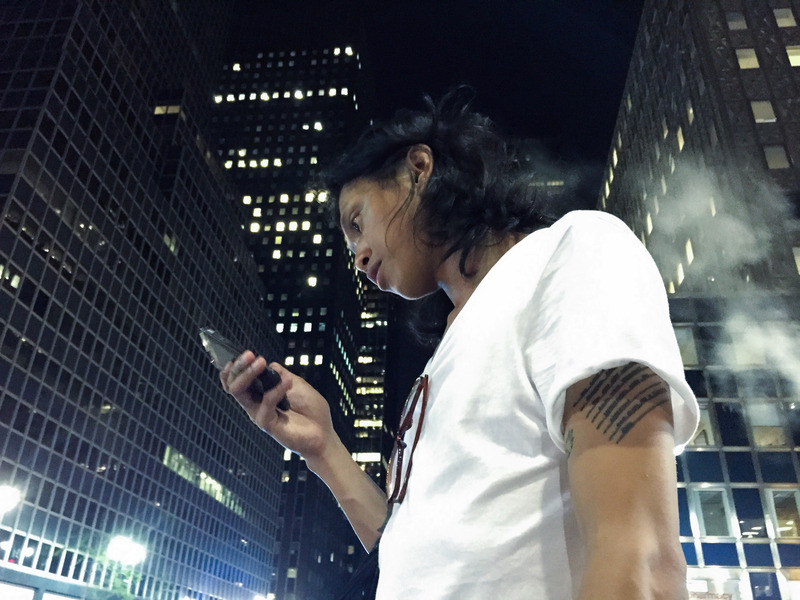 “The Moth and the Bulldozer” is the name of the art project that brought Dex Fernandez from his hometown of Manila, Philippines, to New York. He arrived in the City, in May 2015, as an Asian Cultural Council grantee. His main project was to paint a mural on the walls of Fine Arts Work Center, in Provincetown, Massachusetts. 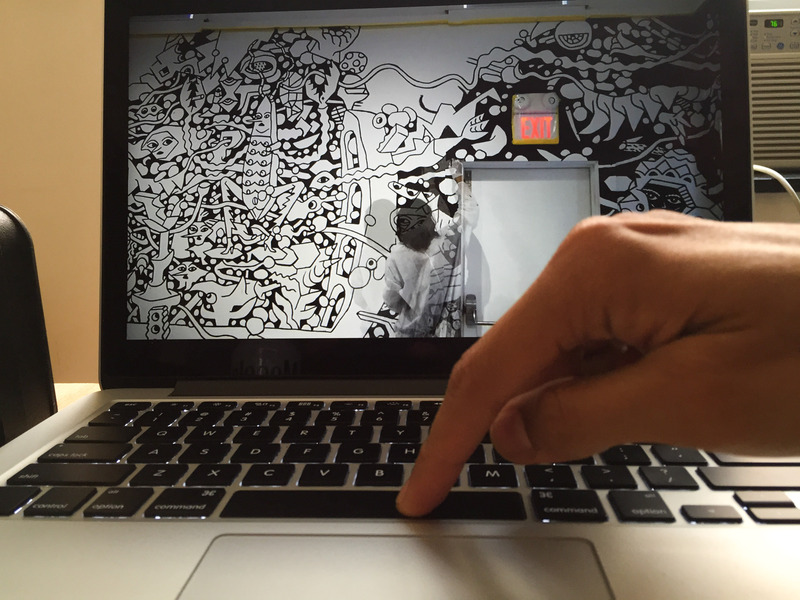 Dex Fernandez shows the mural he painted at Fine Arts Work Center in Provincetown, MA, in July. Photo taken on 08/17/15. The mural displayed the insides of a “tick;” it was a widow that opened into the artist’s own psychology. The delicate moth symbolized his mother, while the mighty bulldozer embodied his father. Such symbols are prevalent in all of Fernandez’s art. Even after a night out, he cannot stop the urge of sticking the cutout of a tick on a random street light. When a close friend asks for a portrait, he begins as any artist would: looking at a photo and drawing the main features of a human face. 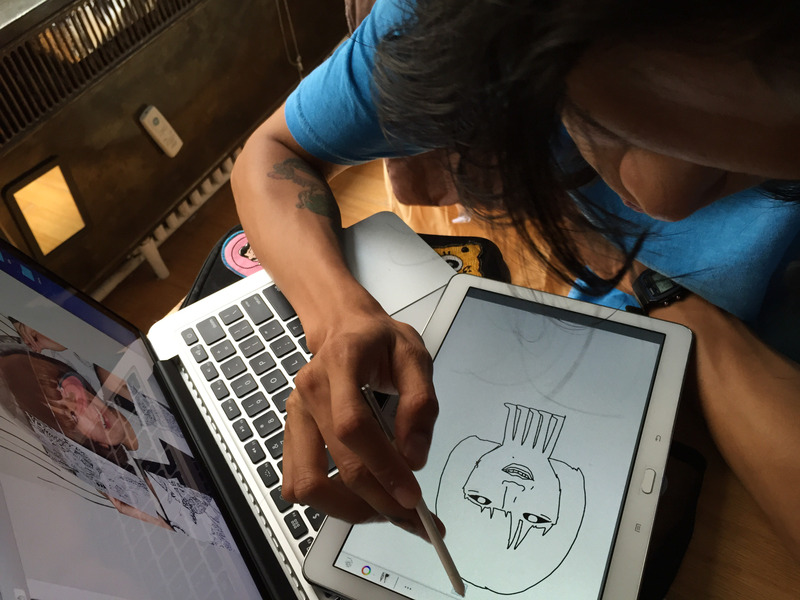 However, he does not consider the drawing complete until he adds the tick’s legs. Even when Fernandez takes photographs, he places various cutouts on the subject’s body. The purpose, once again, is to emphasize that there is more to a “tick” than meets the eye. 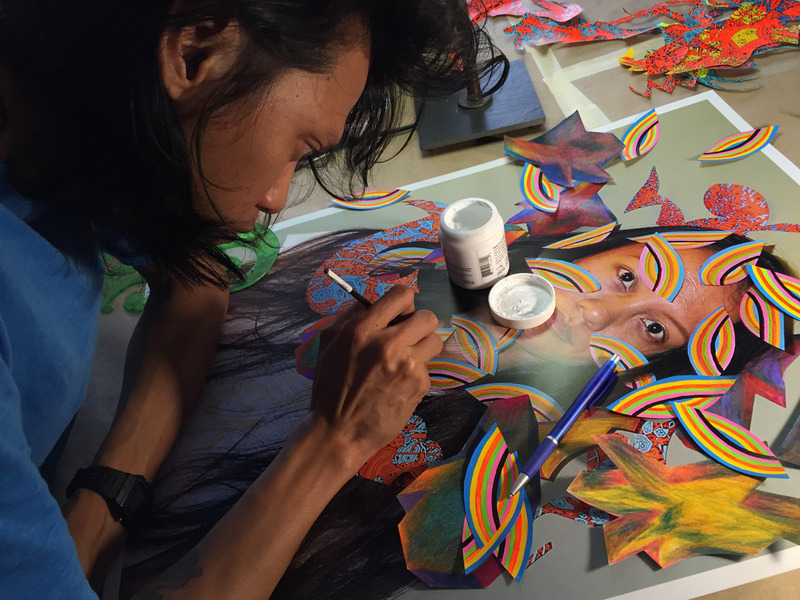 Dex Fernandez paints a photograph of close friend Ida Calumpang, at his Midtown apartment, on 08/17/15. Some of the cutouts were stuck on her face during the shoot. Dex Fernandez’s fellowship ends in November. “I feel so sad…. The Institution told me that I should get 6 months scheduled… I said it’s too long for me… Now I realize 6 months is too short…. I want more than 5 years,” he says. 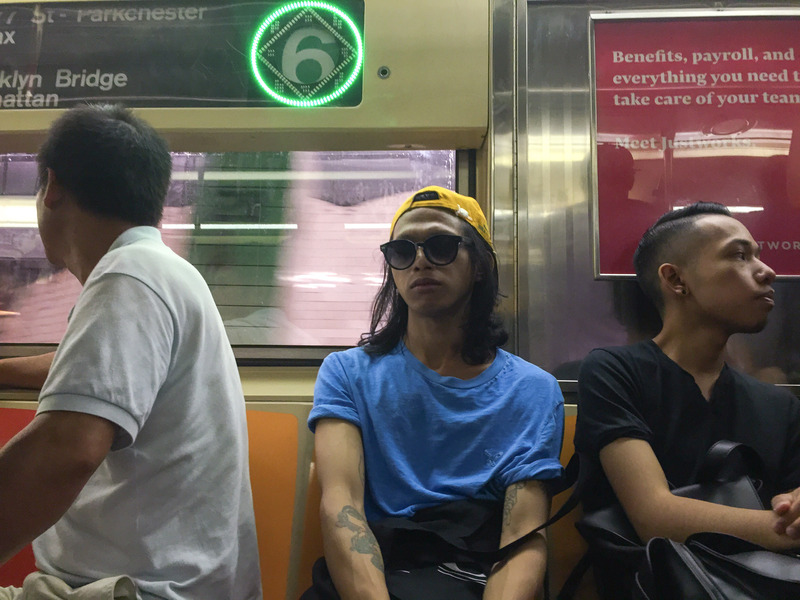 Fernandez will apply for an artists’ visa to continue to be inspired by the “ticks” of New York City. Drawing a portrait for a friend, from a photograph, at studio near UN Plaza, on 08/18/15. 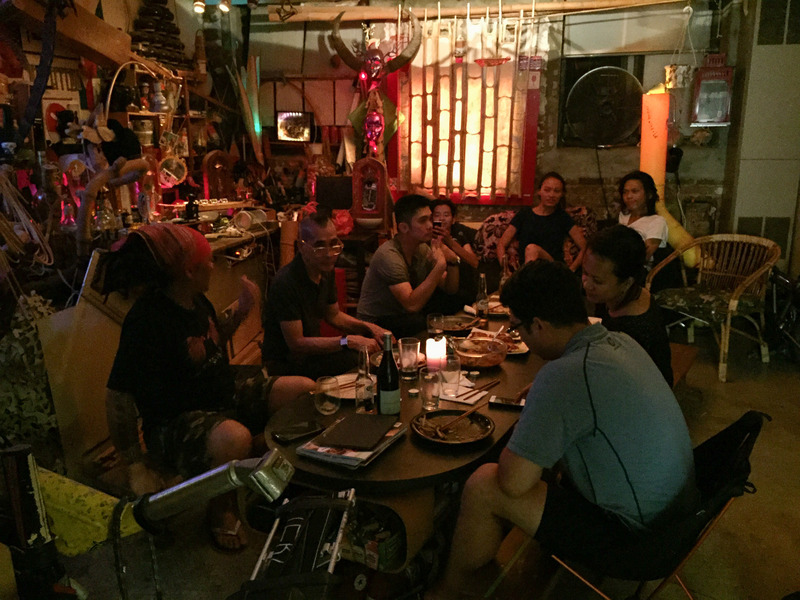 Multi-media artist Dex Fernandez at a dinner party in Williamsburg, Brooklyn, with Filipino friends, on 08/16/15. Entertaining close friend Ida Calumpang with his smart phone, which he never drops. 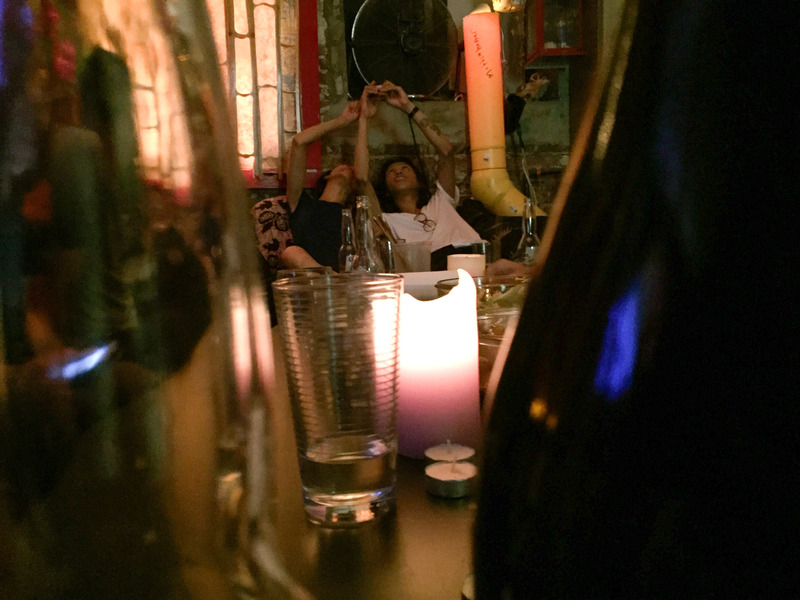 The dinner party took place in Williamsburg, Brooklyn, on 08/16/15. Walking home from Grand Central Station, after a fun night, on 08/16/15. Fernandez sticks his signature tick design on a circuit box in Williamsburg, Brooklyn, on 08/16/15. 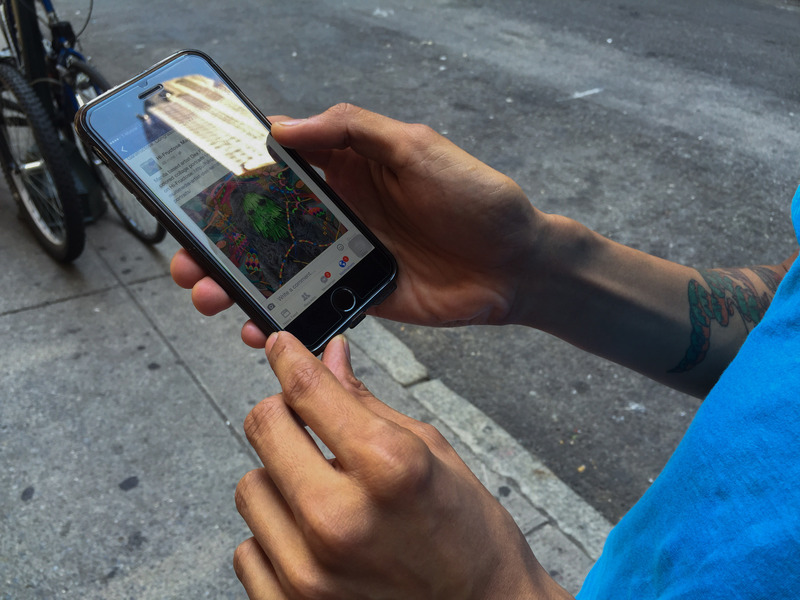 The artist enjoys disseminating his art throughout New York. 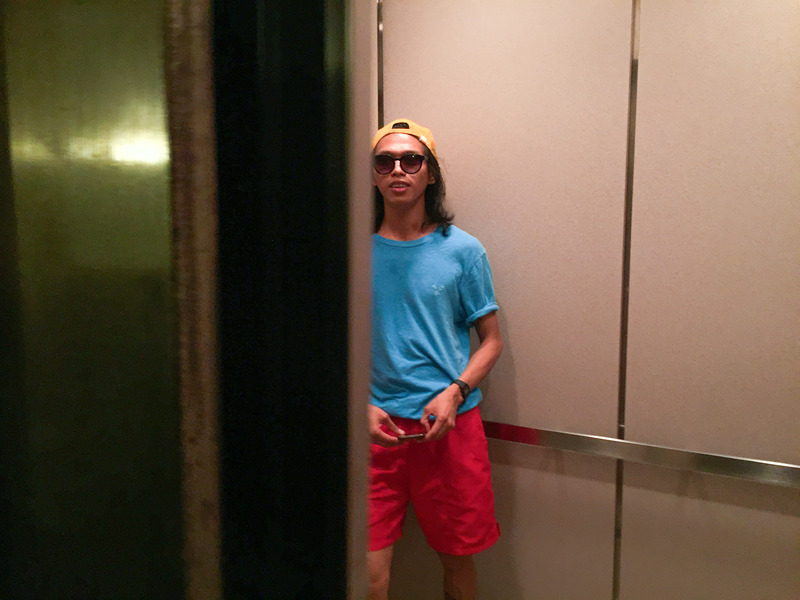 Fernandez on his way to order prints for his final art show in New York, 08/17/15. Walking on 2nd Avenue, on Monday, Dex Fernandez notices that Hi-Fructose, a contemporary art magazine, has featured his work. Ordering prints for his final show, at a printshop near Union Square, on 08/17/15. The photography-based mixed-art show will take place at the Owen James Gallery in Brooklyn, on October 30th. Categories: PressPass | Tags: art, dex fernandez, new york, tick, williamsburg | Permalink.